YOU GUYS!! It's here! Well early access, that is! If you are a Nordstrom credit or debit card holder you have early access until July 22, then everyone has access to the Nordstrom Anniversary Sale! There is SO much good stuff I can hardly handle it. I could have added numerous other items in this post, but it would be too overwhelming, so I have linked below some of what I am loving in this sale! 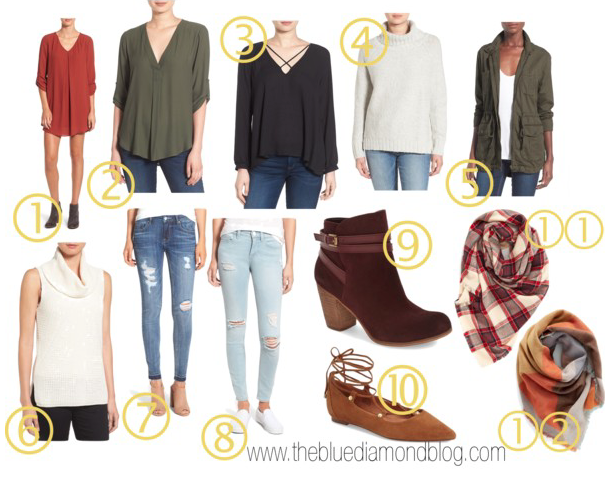 There is so much good stuff for fall, I kind of just want summer to go away so I can wear sweaters and scarves and jeans and booties! So many good deals, I just want to buy everything! I hope you like what I have picked out & happy shopping!